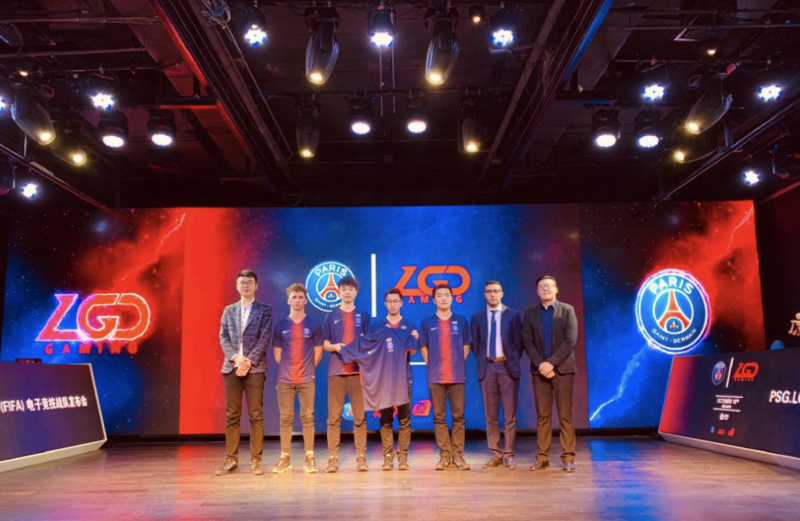 October 22 – Paris Saint-Germain has expanded its esports division partnership with Chinese esports organisation LGD Gaming to form a FIFA Online team as it builds its brand presence on the continent. The two team organisations partnered up earlier this year to co-brand a Dota 2 team, who were the runners-up in this year’s edition of The International. Now they are focussing on the EA Sports FIFA platform. FIFA Online 4 is a free-to-play version of the FIFA series that is exclusive to Southeast Asia. The game features animations and other components from FIFA 18, but the gameplay and AI engine is from FIFA 17. The new team’s gour-man roster will be made up of three Chinese players, and one French player: Mo ‘MzDragon’ Zilong, Chen ‘Milano’ Junyu, Li ‘Yuwenc’ Sijun, and Johann ‘Maniika’ Simo. Maniika was part of PSG Esports’ FIFA team but is now moving to Asia, changing game in a first of its kind move. Paris Saint-Germain is following Manchester City in entering a FIFA Online team in China. PSG.LGD have online streaming platform Douyo as a sponsor for China as well as Lynx and Monster Energy.